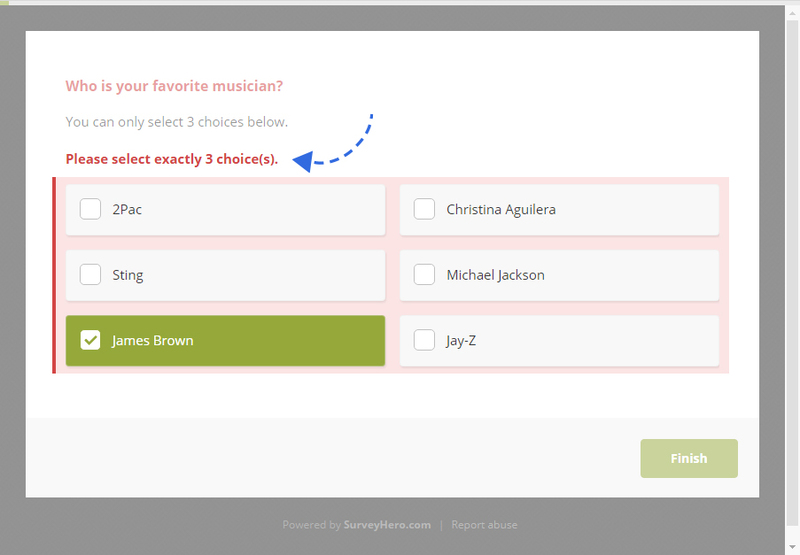 You can limit the number of choices a participant can select in a multiple choice question. You can define both minimum and/or maximum amount of allowed choices. 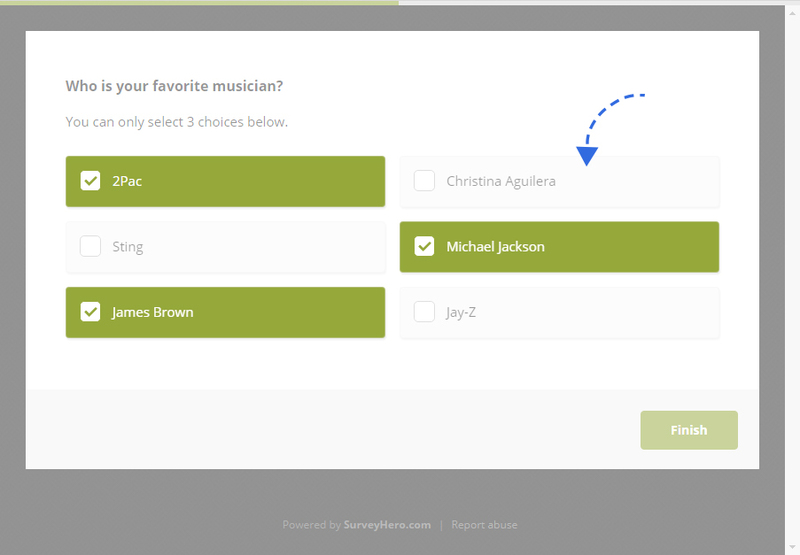 For example, when you have a question with many choices, but you would like each participant to only select a maximum of 3 answers. How do I limit the choices? These options can only be found in the settings of a Multiple Choice Question which allows multiple selections. Click on the “Modify” button in the question toolbar. This will open the settings panel. 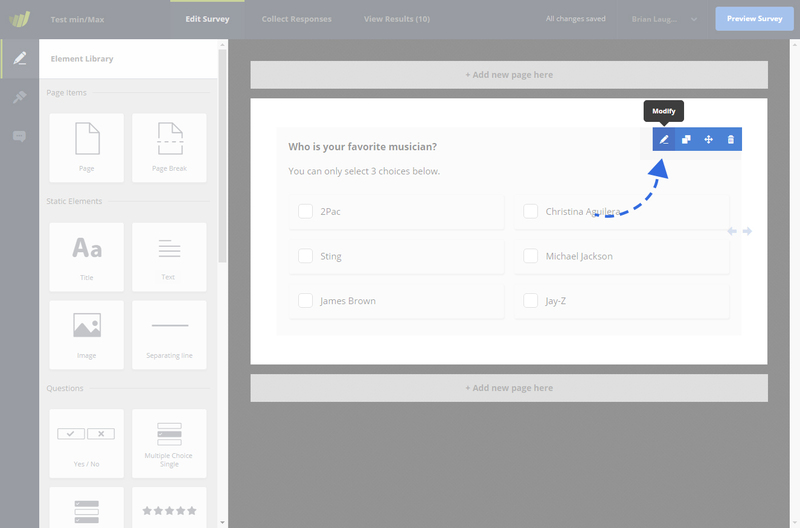 You will find the options to limit the number of choices in the “Rows” section. Limiting the number of choices is only available for multiple choice questions with option “Allow multiple choices” enabled. What are the possible variations of these options? Setting a “min” value will make your question required and it will not be possible to continue without having chosen the “min” amount of choices. When you set a maximum number of choices, all remaining choices will be disabled once the maximum amount is reached. The participant will no longer be able to select further choices. If a participant deselects a choice then the remaining choices will become available again. 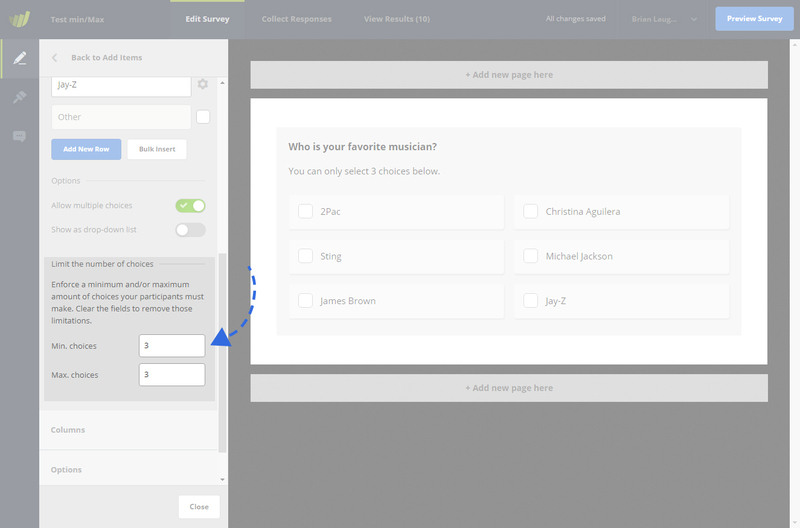 When you set a minimum number of choices, the validation will only happen once your participant tries to proceed to the next page. If the minimum amount of choices is not reached, an appropriate error message will be shown.